If you saw Insomniac Games’ Marvel’s Spider-Man either in gameplay footage or in screenshots, you might have noticed that Spidey is rocking a different kind of suit. It’s not the one Tom Holland wears in in the Marvel Cinematic Universe, it’s not the black symbiote Peter Parker wore in the comics (that eventually turned into Venom), but one that has a white spider design that’s completely new. It’s up in the air whether that means we’ll get the Spider-Man suit in the upcoming MCU film “Homecoming,” or if it’s more old-school than that. Whatever alternate costumes Insomniac has in store, you can bet Spider-Man fans will eat it up. 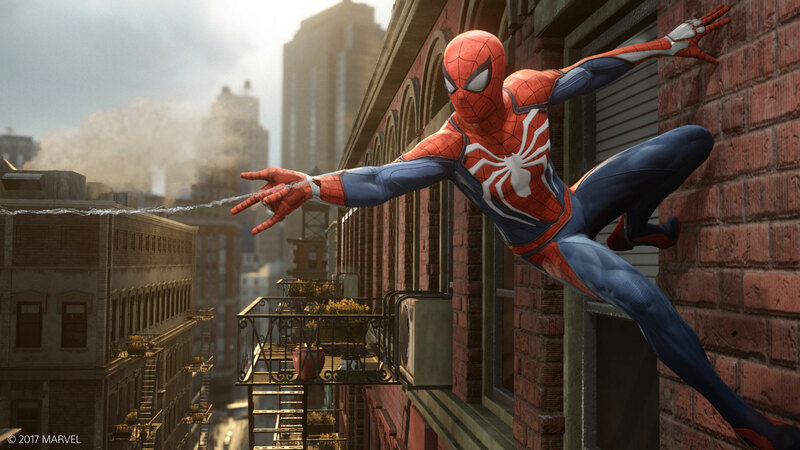 Stay tuned to our Marvel’s Spider-Man preview straight from the E3 show floor, which should be swinging to the site soon.